Top order batsman Anamul Haque joined the 1,000 runs club as fastest Bangladeshi cricketer in ODI cricket during the third match of the Rocket tri-series against Sri Lanka in Mirpur on Friday. Anamul has taken only 29 innings to reach 1,000-runs landmark. He has three hundreds and three half-centuries in the ODIs. After three years, the selectors recalled the 25-year old opener in the national squad in the tri nation series following his impressive performance in the domestic cricket. 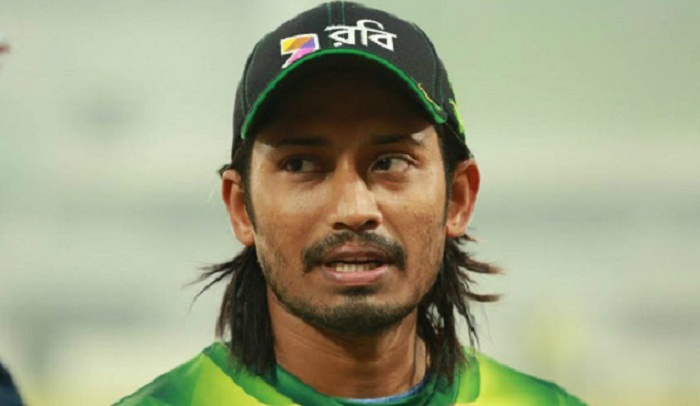 He returned to Bangladesh's ODI playing XI against Zimbabwe. He required 50 runs to reach thousand runs landmark. But, he had to wait after scoring only 19 runs in that match. Anamul got the required runs against Sri Lanka Friday. He was given a number of opportunities in the innings. He was dismissed for 35 off 37, including 3 fours and a six. Earlier, Shahriar Nafees also reached the 1,000 runs club from 29 innings, followed by Imrul Kayes and Nasir Hossain from their 34 innings. Anamul is the 19th Bangladeshi to score 1,000 runs or more in ODIs. He has now 1,004 runs in 32 matches (29 innings) with an average of 34.62.